Today’s entry is a re-post of a piece I did in May 2013 about a 1964 triple homicide in Gwinnett County, Ga. It was a heinous crime that rocked the county for years. Since I first posted it, I’ve talked to a number of Gwinnett residents who still remember it well and how shocking it was at the time. It remains so today. Remember the saying “like looking for a needle in a haystack”? Sometimes cemetery hopping can be like that in reverse. Something rare is sitting right under your nose and you weren’t even looking for it. As part of my Find a Grave efforts, I took on the task of photographing many of the graves at Sugar Hill Baptist Church Cemetery in north Gwinnett County. Most of the graves are already documented because of my dedicated Find a Grave friend Wesley, who referenced the cemetery book that lists everyone who is buried there (along with the dates). However, his wife is in a nursing home now so photographing graves is not something he can do. I asked if I could take it on for him and he gave me the green light. 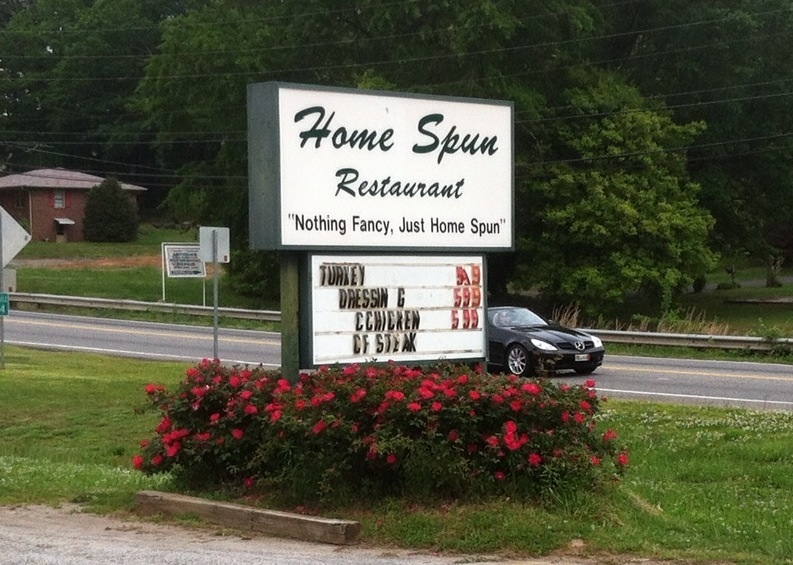 Home Spun Restaurant is an awesome meat-n-three. Try the country chicken if you ever visit. Sugar Hill Baptist Church Cemetery is a large, well kept cemetery situated across from the town’s impressive city hall complex. A small park with a gazebo is across the street and a community center is next door to the cemetery (where I parked my car). 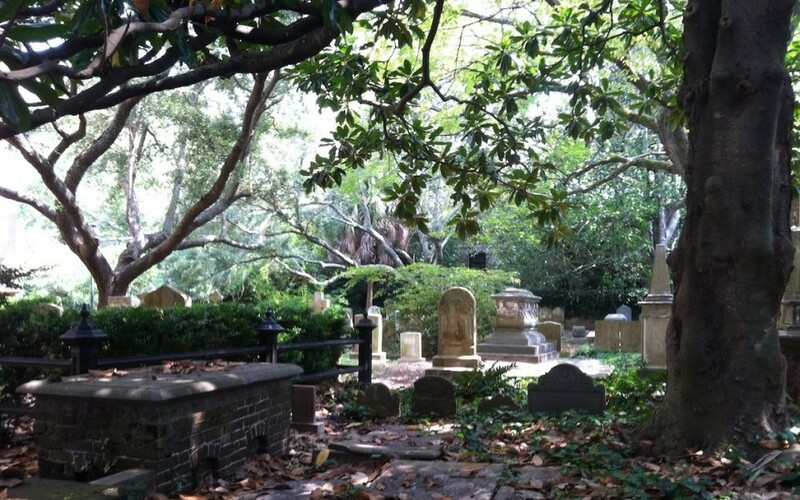 Close to 1,500 graves make up the cemetery. I’ve made several trips to take pictures but I’m not quite done. Eating lunch at the nearby Home Spun Restaurant (a meat and three) after these photo sessions makes visits even more pleasant. It was during one of these trips to Sugar Hill that I photographed a very simple flat stone marker with the name Ralph K. Davis on it. His death was on April 17, 1964. It was located in a decent sized gravel square with the Davis monument behind it. It is rare for me to find a family plot with only one grave in it so as usual, I got curious and began digging for information. It didn’t take me long to feel my breath catch in my throat. 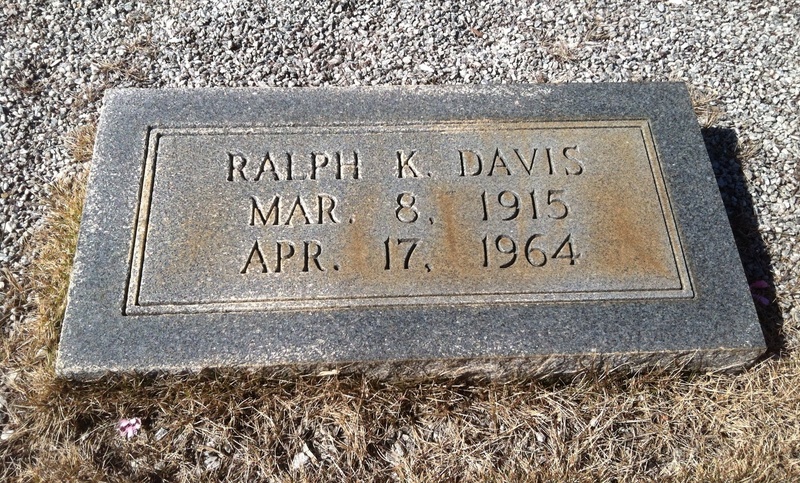 Ralph Davis’ death was much more dramatic than his marker indicates. Ralph King Davis was an officer for the Gwinnett County Police Department. Today, the county is a sprawling mass of homes, businesses and interstate highways. The population is incredibly diverse. But back in 1964, Gwinnett County was a rural backwater somewhat trapped in time. Catching moonshiners was still a going concern for law enforcement. To make matters worse, some lawmen were known to have gotten their hands dirty by taking part in such crimes themselves. On the evening of April 17, Davis and his partner, Jerry Everett, were giving a ride home to an ill fellow officer, Marvin Jesse Gravitt. En route, they got a suspicious activity call at a home on Arc Way, which was a dirt road connecting Beaver Ruin and Pleasant Hill Roads at the time. What started out as a routine response quickly became something that would make headlines across the country. Retired former Atlanta police officer Mackie Carson recently wrote a book about it called Judas Deputy. He kindly gave his consent for me to quote from it. Slain Gwinnett officers Marvin Jesse Gravitt, Ralph King Davis and Jerry Everett. Photos courtesy of Mackie Carson. People think chop shops (garages where stolen cars are “chopped up” for parts that are then resold) are a modern phenomenon but not so. In 1964, a number of car theft rings were operating in Gwinnett County for that very purpose. Thieves would purchase a car from a salvage yard, then steal a similar car and strip the stolen car of its parts. The parts then would be put into the salvaged car — which had no “hot” vehicle ID number. According to Carson, the “finder’s fee” for stealing a car was $25, and rose to $100 if you took it out of the county. As a result, it became a very tempting crime to commit. It was this kind of activity the three officers stumbled upon that April night. They found three men beginning the process of stripping a stolen Oldsmobile for parts. One of the thieves, in an attempt to flee, threw the Oldsmobile in reverse and sped back down the road only to be blocked in by the police car. When Everett was examining the inside of the Oldsmobile, the other two thieves came into sight. They were armed and took fatal control of the situation. The next morning, the bodies of all three officers were found in the nearby woods, handcuffed together with their own handcuffs. They had been shot dead execution style with their own weapons. The Oldsmobile was nearby, torched to destroy evidence. Alec Evans, Wade Truett and Venson Williams were arrested for the triple murder. Truett got immunity for his testimony against Evans and Williams. The ultimate irony is that one of the killers was one of their own, a former Gwinnett County deputy sheriff named Alec Evans. He had even been an ATF agent at one time. The other two, Venson Williams and Wade Truett, owned a garage together in South Carolina and had helped Evans steal the Oldsmobile the previous day. Gwinnett deputy sheriff Jerry Griswell was one of the first to arrive on the scene the next morning. He never forgot what he saw. “A waste of three fine men,” Mr. Griswell said in a 1989 Atlanta Journal-Constitution article. According to many witnesses, Evans swore he would find the officers’ killers, even going so far as to visit the Everett family more than once to assure them the murderers would be caught. Later that year, with no one yet suspecting his role in the murders, Evans was arrested for running illegal moonshine and sent for a short stint in a federal prison in Michigan. He was eating lunch with the other inmates when he was informed he would be going back to Georgia. 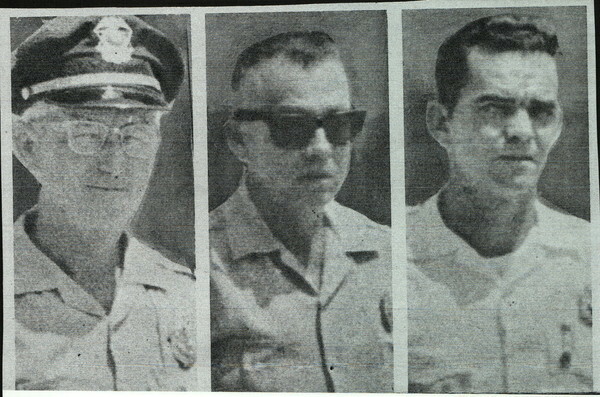 Evans, along with Williams and Truett, was arrested for the murders. Evans was convicted and given a death sentence that was later commuted to life in prison. At age 86, he is still incarcerated. Williams (now deceased) served 25 years and was paroled. Wade Truett, also now deceased, was given immunity for his testimony against Evans and Williams. He served no prison time. Carson says Truett was the only one of the trio who did not shoot the officers. Jerry Everett, only 28 when he was killed, came from a strong law enforcement tradition. His brother, Kelly, was the former Norcross police chief. Another brother, George, was a Doraville police officer. Brothers Randall and Roger Everett owned and operated Everett’s Music Barn in nearby Suwanee and the store is still a magnet for bluegrass music lovers. It has roots in the tragedy. Those paying condolences to the family would return to hold impromptu bluegrass jam sessions on the Everett family’s porch. The brothers and their friends felt the music was a form of therapy amid their grief. Randall and Roger have since passed away, but the legacy of their music continues. While many living in Gwinnett today have no idea what took place on a dark country road in 1964, memories of the triple murder linger. Long-time residents remember three police officers being cut down by a gang of thieves, one a wolf in sheep’s clothing. They walked blindly into a crime in progress and paid with their lives. According to Carson, Ralph Davis’ neighbor, George Kelly, remembered his last conversation with him. Davis told Kelly that he was seriously thinking of leaving law enforcement because of the danger involved. Sadly, he never had a chance to do so.